If you are here reading something, I probably wrote it. I’m Maddi. I’m the writer of the family. Josh does…well, pretty much everything else. I am a lover of Jesus, my hubs, parenting, adoption, coffee, college students, and Target. I like to learn all I can, but lets be honest, I am an expert in nothing. And I kind of like it that way. Thanks for stopping by and reading about our life! Hop over to Instagram and follow me if you want – madebymaddi – I would love to be friends! If you came over to my house, I would bake you brownies, make you a cup of coffee and ask you to hold one of my babies. So grab some chocolate, click on the blog, and stay a while! 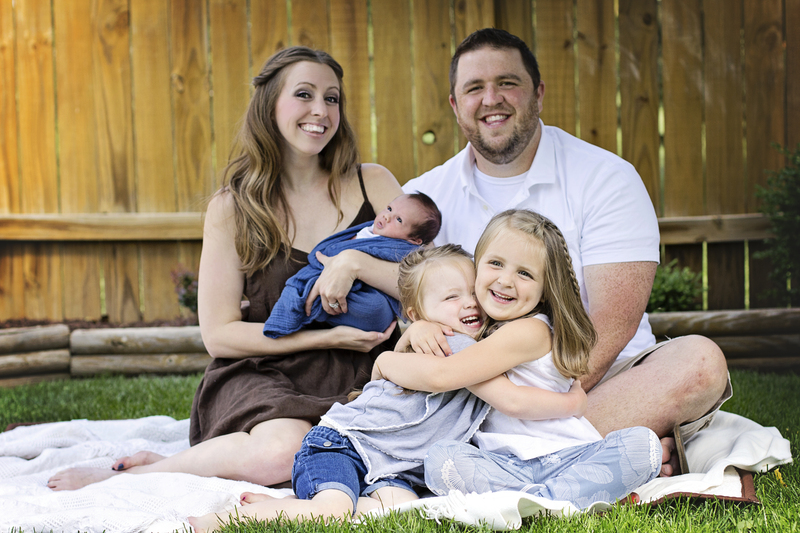 We are Josh & Maddi Fieleke and we live in Kansas with our four children! We have the best job in the world! We work for Cru reaching college students. It is our hope and desire for students to experience the Gospel and place their faith in Jesus. We get to work alongside amazing staff and students each day! You can also click this link to join our financial support team, as we depend on committed individuals to fund our ministry needs. On May 31, 2008 we got married. Ruth came two years later, and Lydia another two years after that. Micah Joshland was born in 2015 and Abigail was born just before Christmas of 2017. Maddi enjoys taking care of the kids at home most days but still loves working with college students, sharing the Gospel with them and discipling women to be lifelong followers of Christ. Josh has a passion for shepherding men to be men after God’s own heart. Together we love to lead Bible Studies, get to know people, and sing really loud in the car!